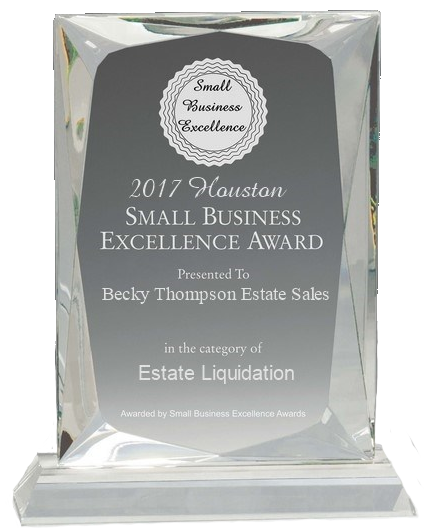 Thank you for your interest in Becky Thompson Estate Sales and we look forward to hearing from you. Need Help With an Estate Sale? You've come to the right place! We help people from all around the Houston area with estate sales. If you'd like info on how we can help, please use the contact info on the right and let's talk. © Becky Thompson Estate Sales. All rights reserved.